The Race Tractor was born from a 1951 Power Wagon pickup and from Jeremy Benson's off-road passion. 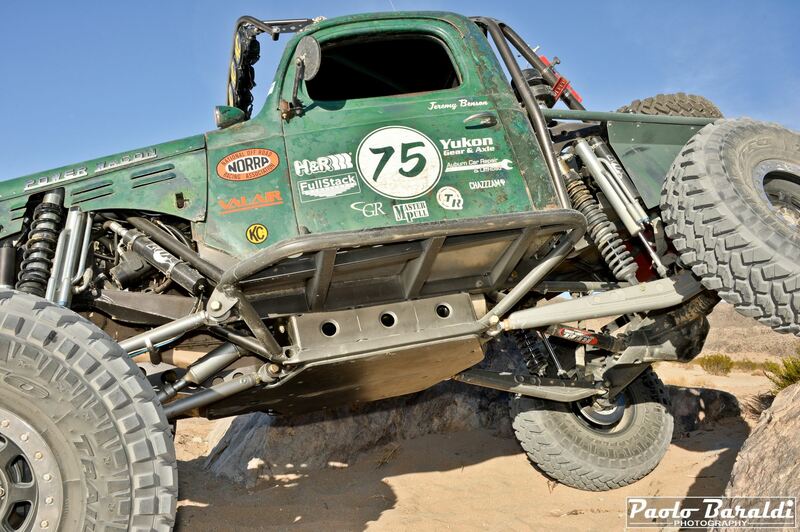 A beautiful Ultra4 style truck that exhibits great personality and style. When Jeremy Benson heard that, on the Cascade Mountains (east of Seattle), a few miles from his home in Bellingham (Washington State), there was an old Dodge Power Wagon from 1951, he knew he had to have it. But what Jeremy did not know at the time of purchase was that the pick up would become that "stunning" rig for desert race and rock crawling that we have in front of our eyes. After bringing it home and stripped, he realized, due to the bad condition of the vehicle, that the restoration work he had in mind was taking a very different way. Having a first-generation 5.9-liter Cummins 12-valve diesel engine from a 1992 Dodge pick-up, and a 1998 Dodge manual transmission model NV4500, Jeremy take out the engine, the transmission and related components for make space for the new engine. Not long after that, in Jeremy's project came a new idea: turn this old truck into an Ultra4 style rig in order to achieve something unique, functional and fun to drive. 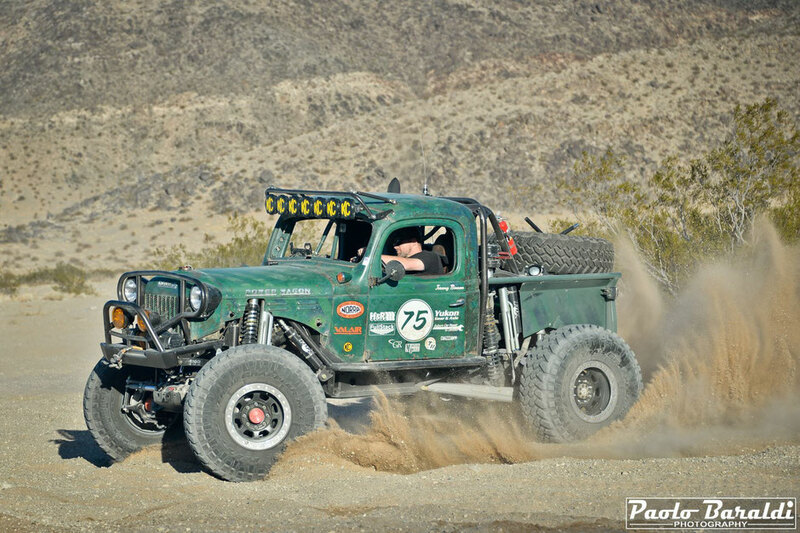 Jeremy Benson has grown up in the classic American pick up culture and has honed his skills in 4x4 manufacturing from a young age. Having work on several Jeeps and after participating in the King of the Hammers race as a rescue volunteer in 2011, Jeremy knew that the "build" he was doing was to be able to tackle the inexorable terrain of Johnson Valley. 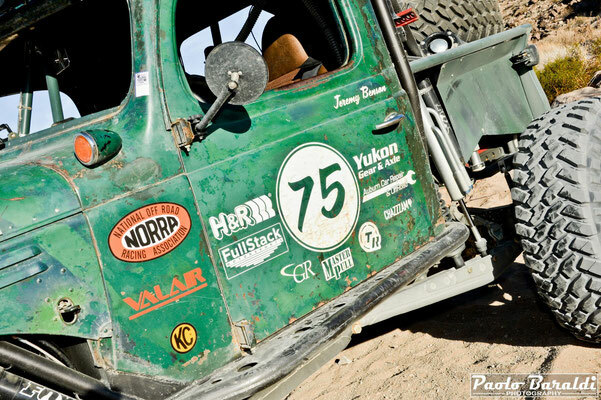 As a result, the "RaceTractor" was built around an Ultra4 style tubular chassis, with the cab remaining the only original element of the 1951 Power Wagon. 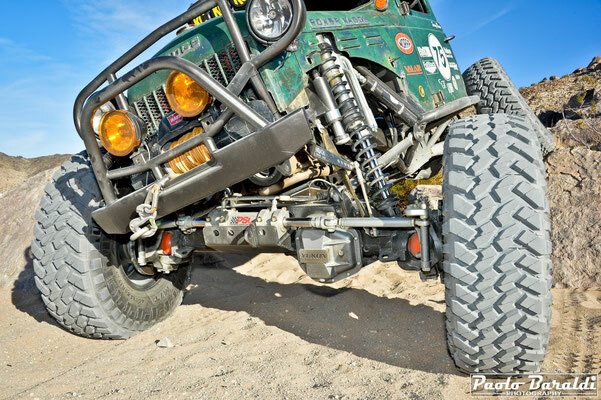 Continuing the work, Jeremy used a Dana 60 front axle with a Ford pinion combined with a GM Corporate 14 Bolt rear axle. 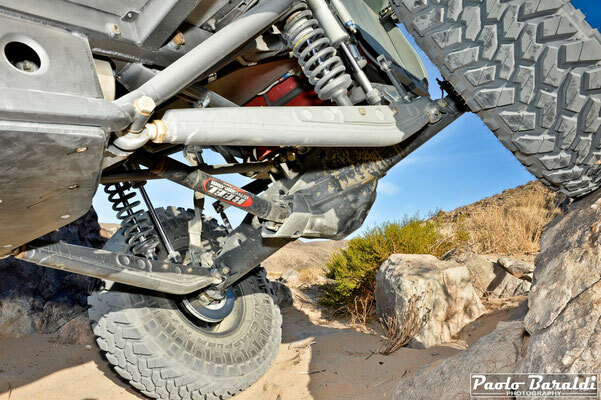 Suspension geometry is a 4-link with both the front and rear shock absorbers Fox Factory Race coupled with the triple bypass always Fox. To complete, and make impressive this truck, there’s the Nitto's Trail Grappler 40" tires mounted on 17" Trailready HD wheels. 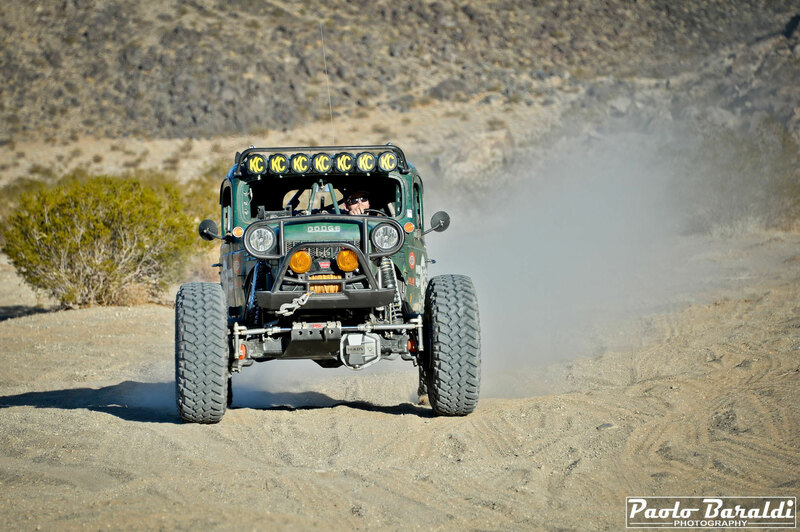 Although Jeremy did not participate with the Power Wagon at the King of the Hammers, he ran and finished the NORRA Mexican 1000 in the Ultra4 class, taking home a third place. 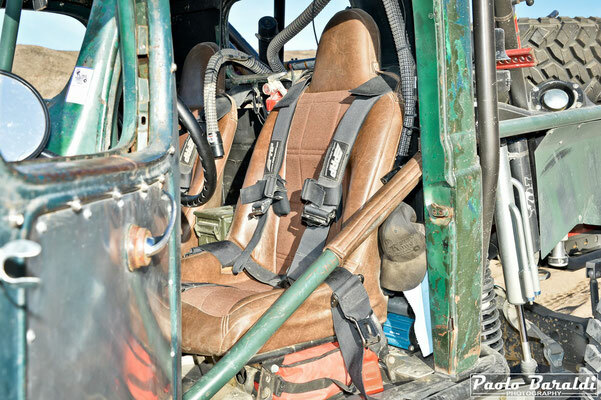 Jeremy's desire is to keep his Race Tractor as it is: a unique 4x4 vehicle of its kind and to continue driving it wherever it wants: to pick up his children at school or venture along the dirt roads of Whatcom County or in the trails of the lakebed. - The tubular frame was made using 2" DOM steel pipes, while DOM pipes of 1 3/4" were used for the secondary elements. Because the cabin interior is small, the B-pillar behind the cab has been redone for more interior space for seats and more comfort. 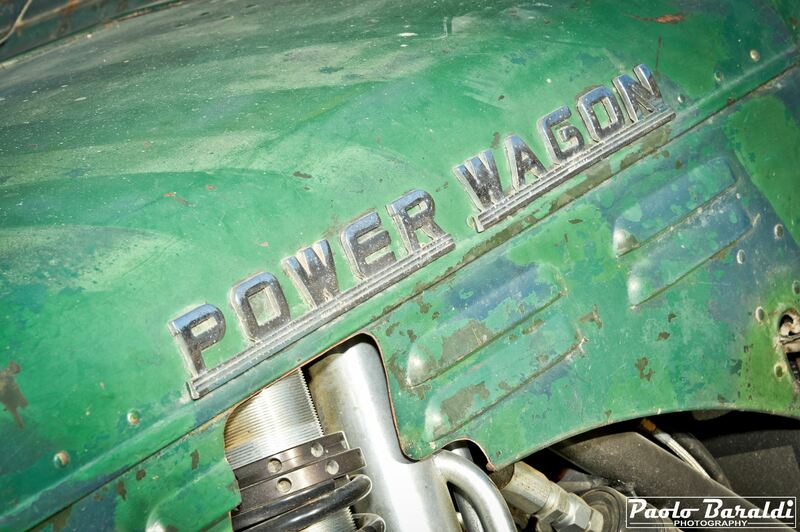 - The engine comes from a 1992 Dodge W250 pickup. 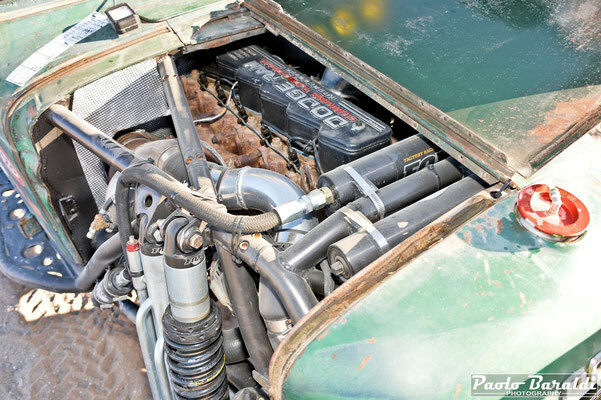 It is a modified Cummins 5.9 liter diesel with a big injection pump with 50 hp injectors and a HE351 CW turbo more big than the original. The power is 350 hp with a torque of 650 ft/tq. 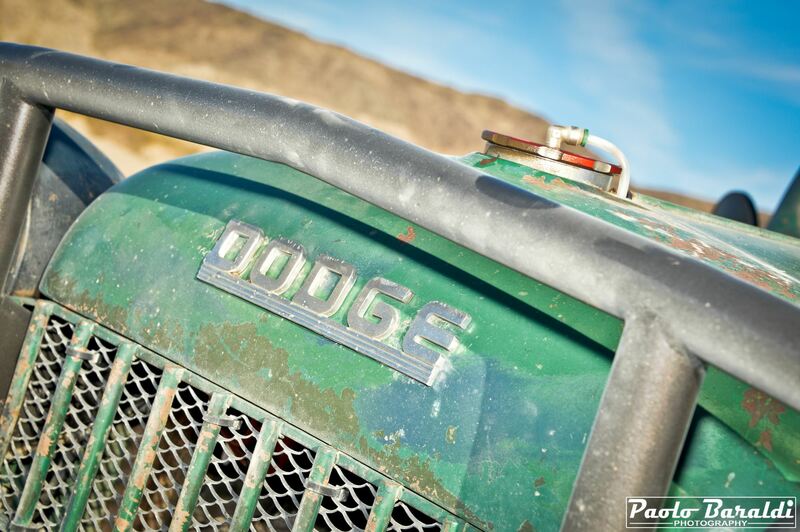 - The gearbox, a 5-speed manual is a NV4500HD that comes from a 1998 Dodge. 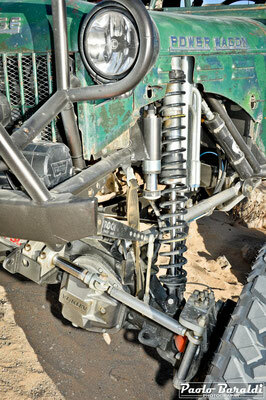 It was rebuilt with a 1 3/8" Heavy Duty Valair input shaft and a fifth gear improved. 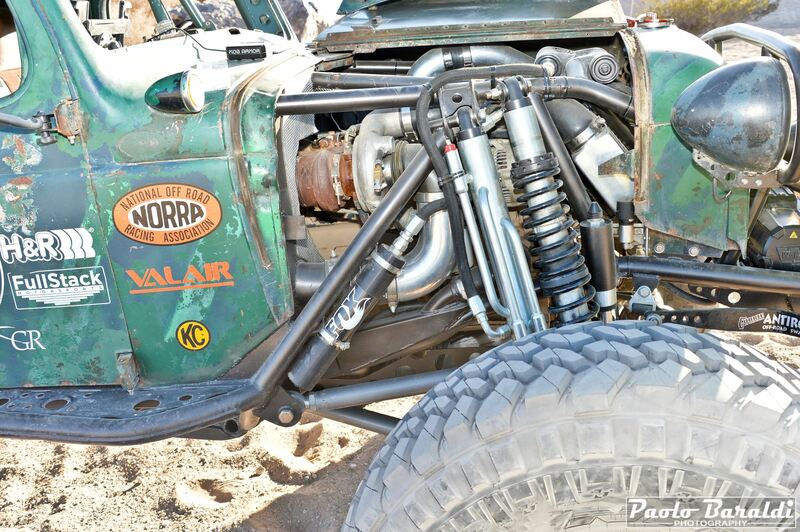 - The gearbox is an Atlas II with a 300 m input shaft and race gears. - The front axle is a Dana 60 with Ford pinion type Kingpin from 1979. It was modified and reinforced. 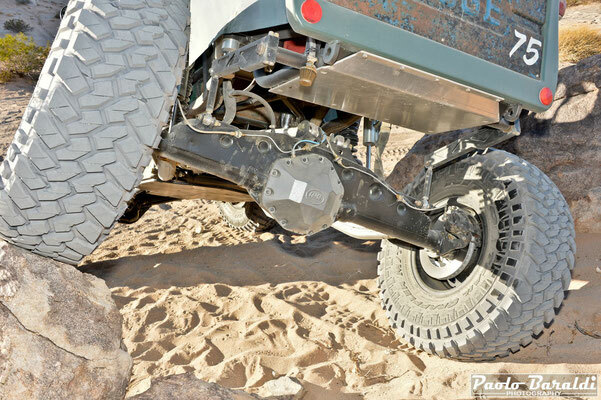 - The rear axle is a GM 10.5" 14 bolt with reinforcement.The differential, as in the front, is an ARB with Yukon ratios at 4.56. 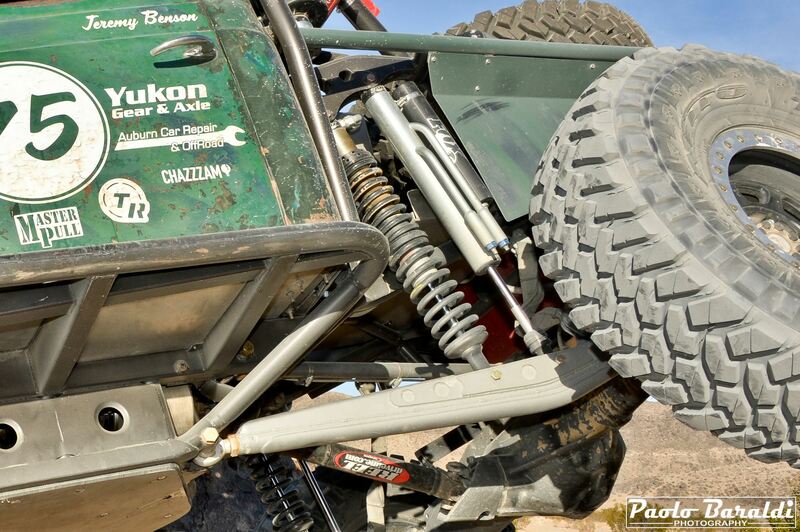 The axle shafts are Yukon chromoly. - The rear brakes use GM calipers with single piston and ¾ ton discs. Front brakes are double-piston Ford. 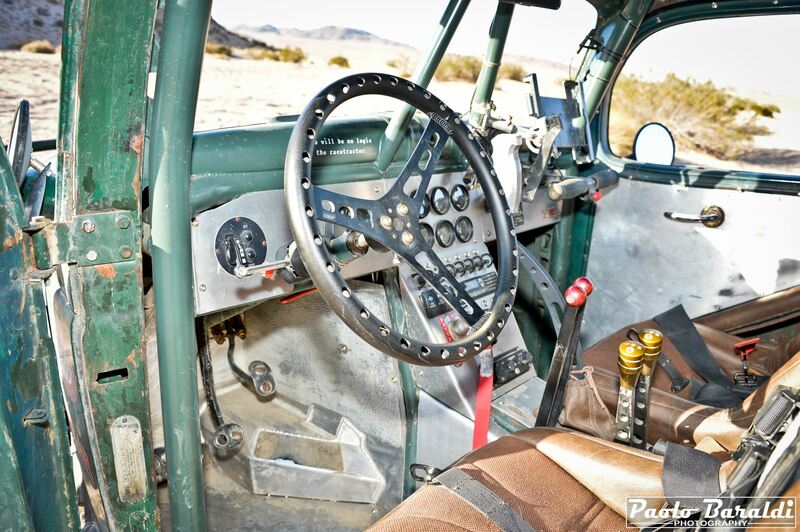 - The steering is a PSC hydraulic system with Artec steering arms. - Front suspension is a 4-link with inverted triangles. The shock absorbers are Fox Factory Race coilovers 2.5”x14" combined with the triple bypass 2.5”x14" always Fox. Also the 2.5"x2" bumpstops are Fox. 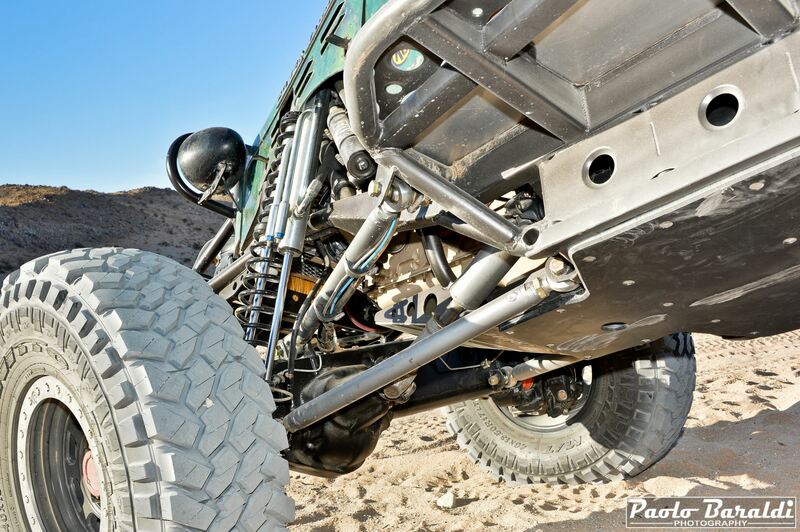 - Rear suspension is a 4-link with lower longitudinal arms and triangular upper arms. The shock absorbers are Fox Factory Race 2.5”x12" coilovers with triple 2.5”x14" bypass mounted on the longitudinal arms. The bumpstops are 2.5”x2" Fox. 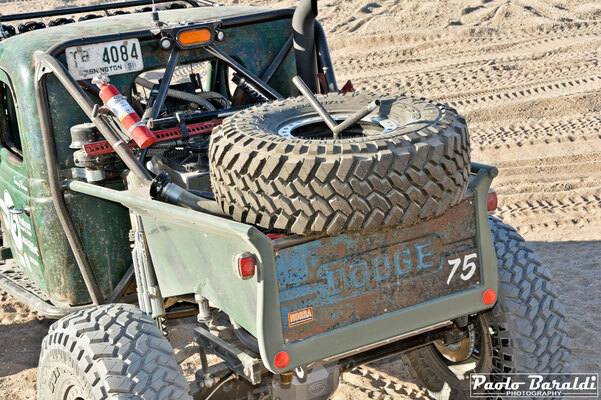 - Tires are Nitto Trail Grapplers 40"x13.50 R17 mounted on 17" Trailready HD alloy wheels.